It’s common knowledge that Damian Lillard’s native Oakland is not the best place to grow up with all the crime and gang violence. 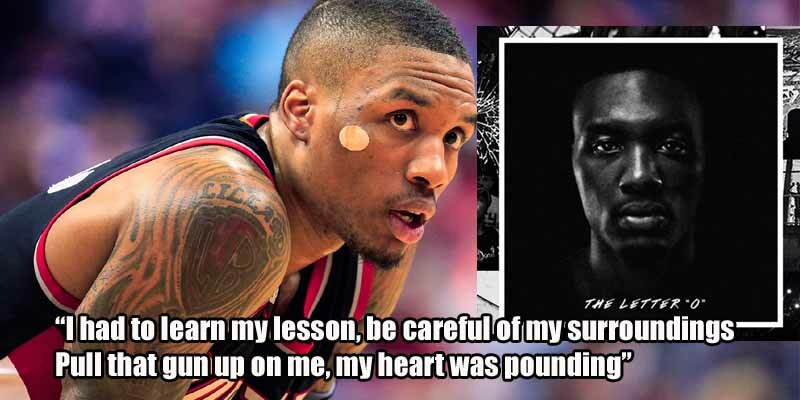 In the song Roll Call on his rap album The Letter O, Lillard references an event where he almost ended up shot in the head during a 2008 robbery by three men who attacked him as he was waiting for the bus after practice. Trying to fight off the assailants as Dame did greatly increases the chances of death, so D.O.L.L.A was lucky to not lose his life.